Skincare is one of my favourite things try out, I truly believe that skincare products can improve your skin once you’ve found products that work for you and that with a good routine you can in fact change the appearance of your skin. I feel like my skincare routine is doing exactly what I want it to do and even though I have bad skin days, I feel as though I have the right products that work for those targeted areas. However recently my under eye area has been really dry and my makeup just isn’t sitting right. 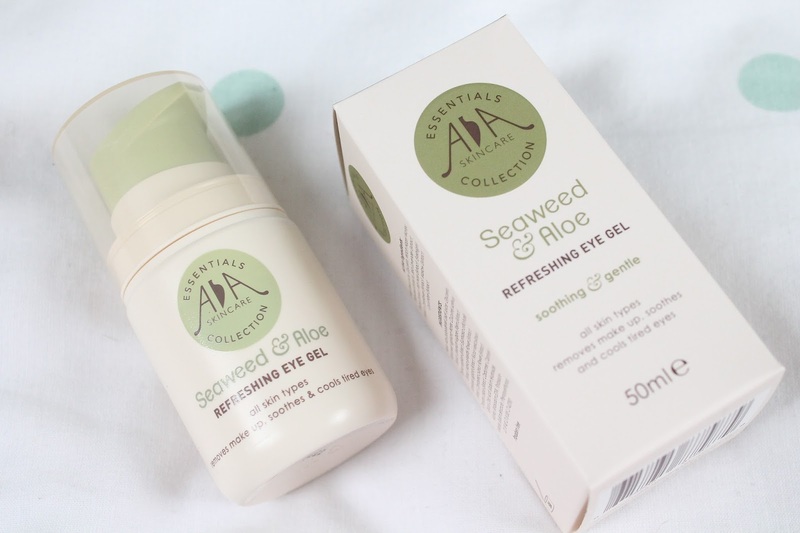 I have been trying out AA Skincare Seaweed and Aloe refreshing eye gel (£6.96)*. This claims to remove makeup, soothes and cools tired eyes and is suitable for all skin types. I have been using this everyday and night in replace of my usual eye cream for the past two weeks and I can see some visible changes. Before my concealer would crease a lot no matter how I applied it or how much I tried to prevent it, whereas after using this eye gel It hasn’t been creasing as much. Also my powder doesn’t seem to go patchy or blotchy straight after I applied it like it used to. I have been using this product to remove my eye makeup and as scary as that may sound it is actually really great at removing mascara and even gel eyeliner. It hasn’t irritated my eyes in any way but obviously do be careful when using it around the eye area and always follow the instructions on the packaging. One pump is more than enough for both eyes and I like the gel consistency of this product. As you may know gel formulas are one of my favourite, I find them to be really hydrating with my dry skin. I will be taking this product on holiday with me, as it claims to be cooling after a spell in the sun, I will most likely need a lot of this to keep my skin hydrated and refreshed after a few hours in the sunshine. Have you ever tried anything from AA Skincare?